THIS IS THE NAME OF OUR NEW INNOVATIVE EMPLOYABILITY PROGRAMME, THAT HAS BEEN DESIGNED TO LAUNCH PEOPLE INTO WORK. EMPLOYERS TELL US THAT THEY WOULD EMPLOY SOMEONE WHO HAS ADDITIONAL NEEDS OR LEARNING DISABILITY, IF THEY HAD CONFIDENCE IN THE PERSON AND IF THEY WERE SUPPORTED IN THE PROCESS. WE ARE DEVELOPING THE VITAL BUSINESS SKILLS IN OUR LEARNERS. LILY AND LIME AND THE LEARNING AND TRAINING ACADEMY HAVE COMBINING OUR CARE AND EXPERIENCE AND DEVELOPED OUR INNOVATIVE PROGRAMME GIVING OUR LEARNERS AN EMPLOYABILITY QUALIFICATION, AN INNOVATIVE ‘VIRTUAL CV’ AND WORK EXPERIENCE, EQUIPPING THEM FOR THE WORKING ENVIRONMENT. WHEN IN EMPLOYMENT WE SUPPORT THEM IN THE WORKPLACE TO MAKE THE WORKER-EMPLOYER RELATIONSHIP WORK. ONLY 6.6% OF PEOPLE WITH LEARNING DISABILITIES ARE IN SOME FORM OF PAID EMPLOYMENT. AND OF THE REMAINING, 65% WANT A JOB. IT IS ESTIMATED THAT THERE ARE OVER 2000 VENERABLE, AND HARD TO HELP PEOPLE WANTING TO WORK IN THE PORTSMOUTH AREA. OUR EXPERIENCE OF WORKING WITH THE CLIENT GROUP IS VAST, RUNNING WORKSHOPS AND CAFES AND IN A RECENT OFSTED VISIT WE GAINED AN ‘OUTSTANDING’ GRADE. MY ASK OF YOU IS TO COME AND JOIN THE ADVENTURE, TO EMPLOYERS OUT THERE WE ASK YOU TO GIVE US A LITTLE TIME, AND OFFER SOME WORK EXPERIENCE TO OUR LEARNERS, AND MAYBE YOU WILL SEE HOW THEIR TALENTS COULD FIT INTO YOUR ORGANISATION. OUR PARTNERS ARE SO IMPORTANT AND WE ACCOMPLISH A LOT TOGETHER. SOME OF OUR PARTNERS GIVE THEIR TIME, OTHERS EQUIPMENT. Click on the play button in the image below. Please click to play the short film uploaded by Ready,Steady Work. WE WILL COME TO YOU AND OFFER A FREE WORKSHOP TO YOUR TEAMS TO SHOW HOW TO WORK WITH SOMEONE WITH A LEARNING DISABILITY. AND GIVE ON GOING SUPPORT. Photo above is Richard talking at the ccskills.org Conference 2017. 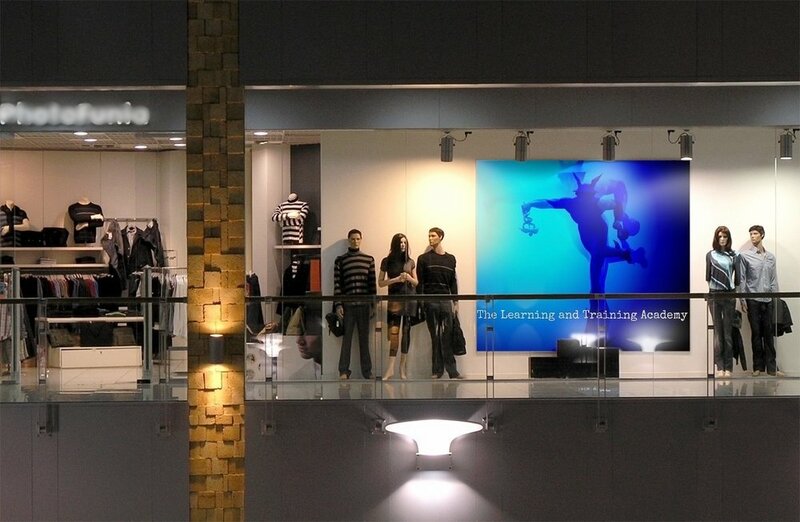 New to The Learning and Training Academy. Try before you buy, and free, no obligation consultation. Art, Design, Media and Performing Arts. - develop links with local community groups and industry in order to develop work experience and publicity activities for the students in the department. - devising promotional strategies for educational events and performances taking place in schools and around the community. - quickly raise moral of the teaching team as well as set high standards for student behaviour and work. - Introduced Reverse Mentoring - feedback to managers. - drive up KPI's; Staff utilisation, student attendance, Missing register marks and increased the college’s Etracker activity in the department across the range of criteria. THE LEARNING AND TRAINING ACADEMY HAS DEVELOPED LINKS WITH BIIAB AND IS NOW ABLE TO OFFER LONG AND SHORT COURSES in management. Continue to run an Art class for over 25 years. Devised a unique Apprenticeship programme for schools. Curriculum links to art gallery schools liaison. Refined and grew the department by carrying out an audit of performance against quality standards. Using creative solutions to manage change brought about by both academic and business needs. The result was a developed and an enriched curriculum with more effective timetabling and deployment of staff, which was a saving of teaching hours and achieved growth in student recruitment, retention and achievement in the department. Managed projects through the various stages from start up and initiating, controlling, managing stage boundaries and closing the project. This was best seen in the introduction of the Diploma, which brought a number of stakeholders together and changed the ethos and the way the lecturers taught, allowing the change management of curriculum delivery. Established new customer mind set and procedures to provide great customer service in a very demanding environment. The result was taking the department from 4 to 2 in an OFSTED inspection within 17 months of taking up post, and a grade 1 followed the next year. Entrepreneurial success included promoting opportunities of The Showcase and Summer Festivals resulting in more press and public awareness of the college and the department. Monitored the staff and evaluating data though the appraisal system, producing better-qualified and motivated staff. Financial success was achieved by managing the department budget of over £20k and reducing the spend year on year. Important team success was the forming of a coherent working group of staff, and devising training and academic programme structures. Leading to highly stimulating environment for students. In charge of both recruitment and course evaluations. This led to redesigned course curricula and updating the learner’s portfolios, giving a higher success rate. Initiated and managed the centre in providing career guidance to student cohort of 350. Managed and worked with a team of staff finding work placements for students with 100% success, this resulted in assisting employers in assessing reliable and effective employees and ensured students found employment in the field of the industry they studied in. Monitored students and adapted courses to suit workplace practices, creating a large change in working practice in the workplace, increasing relevance and up to date vocational study into the classroom. Financial success with the BACS payment system. Chair of Governors at Medina primary School 1993 97. Invited to become external verifier in 2000 for 2 major examination bodies, Trainer, Qualification Writer & Personal Coaching for Edexcel, Moderator for AQA. Operation & Resource Management, and wide ranging Business & Development expertise, gained through working at the Portsmouth Chamber of Commerce. Teacher-experienced at primary and secondary level. Highly skilled in careers advice. Community Theatre Director for the Rathbone Society. Freelance Artist on a part-time basis. Take Action and change lives, Join Us now. Your involvement allows us to connect people and create partnerships for our learners. We run employment projects with our partners, seeking the most constructive solutions. There's no better way to make an impact than to learn about new things, become an active advocate yourself. ring or email now and make an impact!